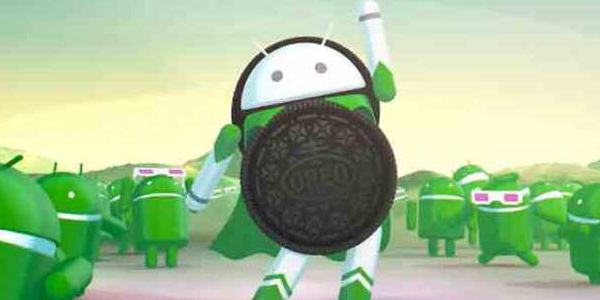 Google has released its latest Android Version 8.0 and named it as Oreo. Android is a huge user based mobile operating system in the world and here comes 8th version of it post Android Nougat. Users of Nougat and now directly upgrade to Android 8.0 Oreo and also from Android Marshmallow. Right now only Google backed devices are being hitting with Android 8.0 update. In the recent times major smartphones have announced that Oreo update will hit latest phones too. However software update of Android 8.0 rollout to other mobiles to be confirmed soon. Android 8.0 Oreo update has been released to Phones like Google's Pixel, Pixel XL, Pixel C, Nexus 5X, 6P, Nexus Player. In a que manner Oreo update to be rolled out as OTA update from Google as a software version. Nexus Phones like Nexus 6P, Nexus 5X, and Nexus Player will also get the latest version. If you are at a faster note then take a chance to loose all date while downloading Android 8.0 Oreo image files from the sources. Other Mobile Devices which have received latest version of Google’s mobile software, Oreo are Lenovo K8 Note, Asus ZenFone 3, ZenFone 4, Micromax Canvas Infinity, HTC U11, HTC U Ultra, HTC 10, Moto G4 ,Nokia Android phones , OnePlus 5, OnePlu 3T, OnePlu 3, Essential Phone, Coolpad Cool Play 6. Next to get Android 8.0 update are Samsing, Sharp, LG, Kyocera, Sony, Huawei et al,. Google in its blog post has said "By the end of this year, hardware makers like Essential, Huawei, HTC, Kyocera, LG, Motorola, HMD Global Home of Nokia Phones, Samsung, Sharp and Sony are scheduled to be launching or upgrading new devices to Android 8.0 Oreo"
Safest way to enjoy all features of Android 8.0 Oreo is wait for few days to get OTA update or signup yourself to Android Beta Program and enroll your device to check eligibility of your hardware. Get promised to Agree to Terms of Beta Program and head to check for an update on the device to get Oreo update and install it. Google has released Android 8.0 Oreo's system image files where everyone can download them on to their smarphones. Google’s warning Read as " Installing this factory image will erase all data from the device. While it may be possible to restore certain data backed up to your Google Account, apps and their associated data will be uninstalled. Before proceeding, please ensure that data you would like to retain is backed up to your Google Account"
Go to About Phone under Settings and tap seven times on the Build Number. Tap on USB debugging and unlock your device. Connect your device to PC via the USB cable. Launch command window on your PC. Enter bootloader mode by entering following command: adb reboot bootloader. Give confirmation to the unlock message by pressing volume up to select the Yes option and power button to proceed. Type fastboot reboot to get the device rebooted into bootloader mode. Your device will reboot to Android 8.0 Oreo OS. Intex cloud 4g star ki liya aaya h ki nahe???????????? Is Gionee A1 in the list for further..? updates will for Moto G4 Plus?